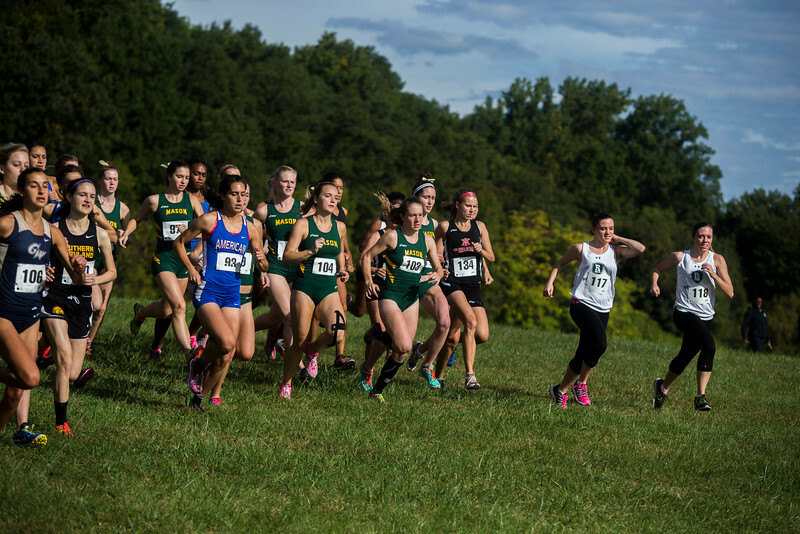 George Mason’s cross-country teams secured first and third place during the James Madison Invitational on Sept. 10. 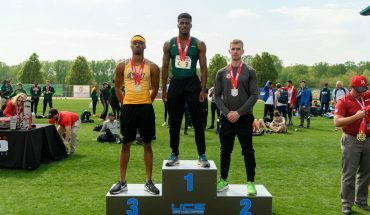 The men secured first place, winning their first title of the year, and the women narrowly came in third. The men’s race, just barely shorter than the standard 8K (about 5 miles), had only four teams (including Mason) compete, with Mason being the only school that is in the Atlantic 10 Conference, or A-10. The other three were Virginia Military Institute, Longwood University and Christendom College. On the women’s side, which ran a 5.2K (about 3 miles), those same schools participated with the addition of VCU, another A-10 team, and JMU. 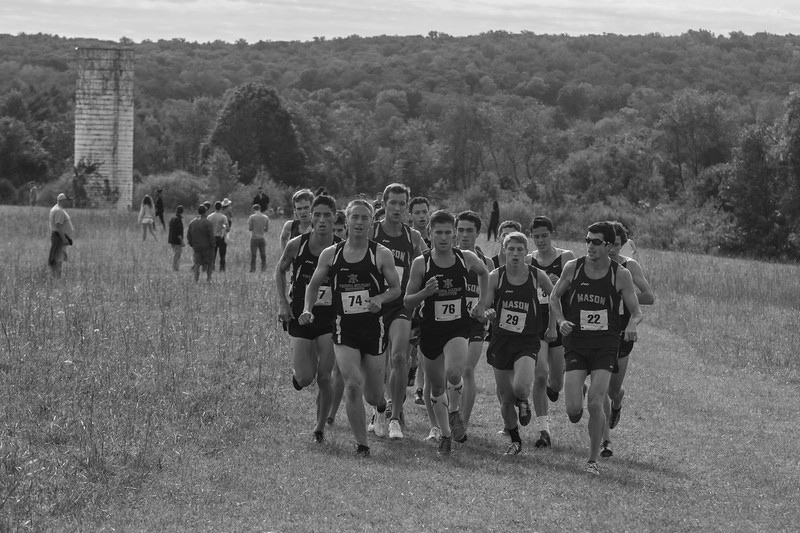 Despite temperatures moving well into the 90’s with high humidity that day, the men’s team managed to stick closely together in their 7.9K (about five miles). The top five runners from Mason ranked within the top 10 places. Distance runner Adam LaFemina finished first for Mason and third overall, coming in with a time of 26:36.7. Brent Coulter (26:47.5) placed fourth, Grayson Morgan (26:56.4) placed sixth, Dustin Jutras (27:00.6) placed eighth, and Luke Sharkey (27.18.4) placed tenth, rounding out their low score of 27. Meanwhile, the women finished third in their 5.2k race (about 3 miles). Distance runner Ciara Donohue placed second overall with a time of 19:30.2, just two seconds shy of the first place finisher, Carol Strock, who competed for JMU. Amber Hawkins (21:21.4) finished fifth, Kyla Carte (21:21.4, 22nd), Sarah Richart (21:35.7, 26th) and Khalilah Hammer (25:44.5, 28th) rounded out the women’s top 5 with a score of 68 points. Both the women’s and men’s team have a few weeks in between their next meet, yet both will be hard at work training and preparing for the A-10 Conference Championships, which will begin on October 29. “The next two or three weeks we’re going to be training really hard to prepare for the A-10’s and regionals,” LaFemina said. The training, which includes workouts at their future meet locations such as Oatlands Plantation, is rigorous but seen as necessary. Oatlands Plantation, located in Leesburg, Virginia, will be the site of the Mason Invitational, a track meet that will be hosted by Mason on Oct. 1. The team is optimistic that the hard training will pay off come 28 days later, when the A-10 Conference Championships begin. The efforts of the men’s team have been a response to their finish at last year’s A-10’s, where they finished 12th. 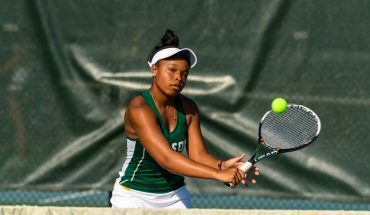 Now, they look to repeat their success from the James Madison Invitational and carry their momentum into the playoffs. The Mason Invitational is just one of two meets that remain on the schedule before the A-10 Conference Championships begins. The other is the Wake Forest Invitational held in North Carolina on Oct. 14.